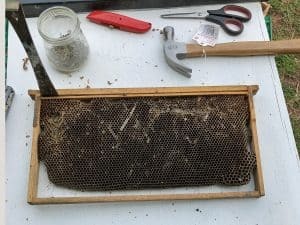 When do you replace the frames and foundation within the bee hive? 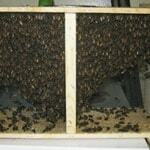 Home / Uncategorized / When do you replace the frames and foundation in your bee hive? 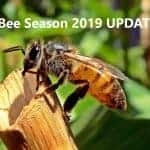 Have you consistently lost your honey bee colony each year? 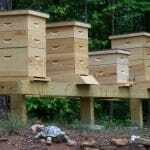 One solution may be as simple as changing out frames and foundation, as they are foundation to having a healthy hive. 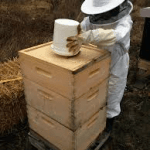 There are two categories for frames and foundation within the hive. 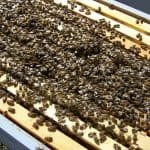 First, there are the year around frames and foundation that are found in the brood box (deep super) and the medium super for the winter feeding of the colony. 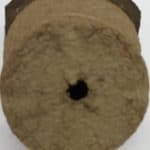 In the colder regions there may be a deep super or two medium supers that feed the colony during the long winter months. Second, honey supers which can come in all three sizes (deep, medium, and shallow). These frames are used no more then 4 months out of the year and then stored in a dry room til the following year. So let’s take a look at the year around frames and foundation. 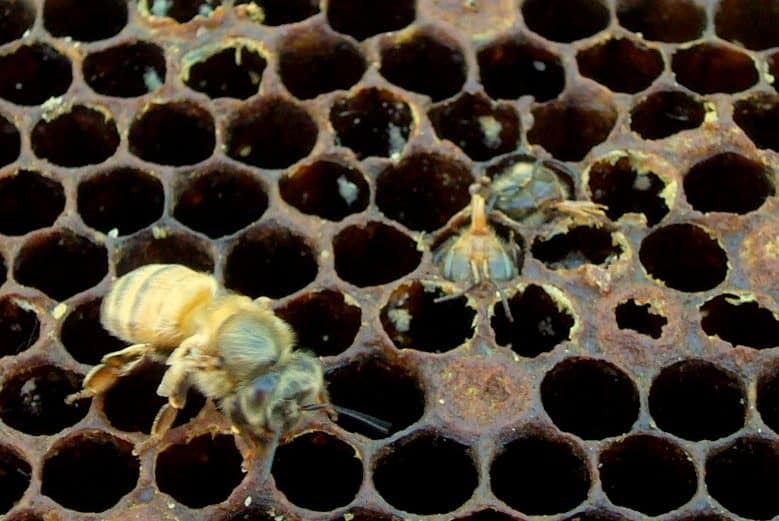 These frames and foundation see a lot of traffic during an average season with the worker bees storing pollen and nectar in these foundation cells. The bees also deposit propolis around the frame. When honey bees forage for nectar and pollen they can come across traces of poisonous man-made chemicals. These traces will not kill the honey bee as they transport the honey or pollen back to the hive. 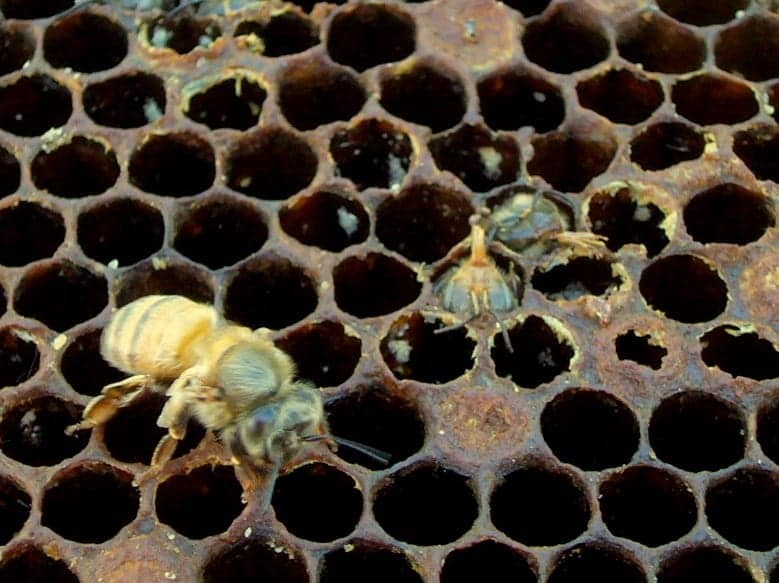 Traces of chemicals then are tracked back into the hive and are now present on the comb. 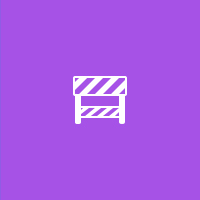 After a period of time, 5 years, the chemical traces now become a toxic environment within the hive.